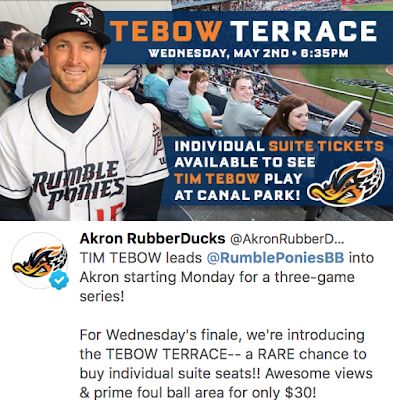 TheMediagoon.com: Akron Rubber Ducks Having a Tim Tebow Section? How does this work? Any other teams ever do something like this for an opposing team's player?